Council on Integration, President of Cogito Toastmaster Club. School of Economics, experienced lecturer and scientist, author of many publications, academic papers and articles. experienced organiser of the College affairs, author of many academic publications. 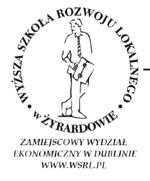 Markievicz, Board Member and Treasurer in Irish-Polish Society. 1980 lives in Ireland. Correspondent for “Gazeta Wyborcza” and “Polityka”.